Nutritional recommendations for children are anything but simple. 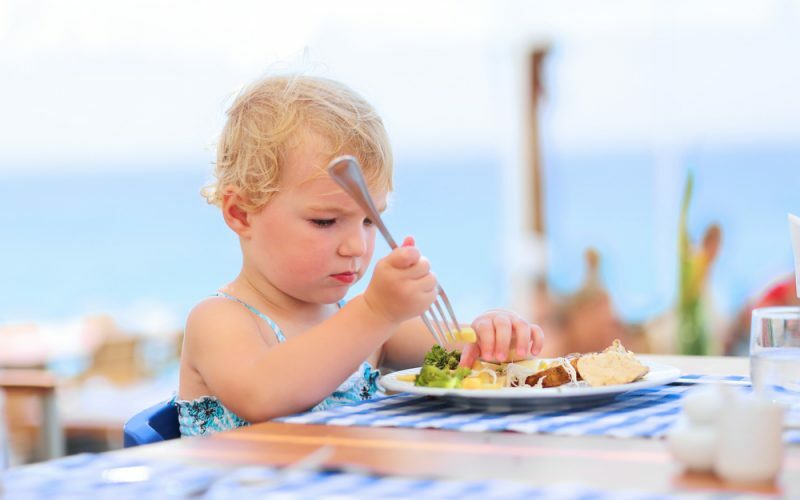 Look around and you’ll quickly run into terms like Recommended Dietary Allowance (RDA), Dietary Reference Intakes (DRI), and Adequate Intake (AI)—but what do they all mean and how can you use them to help plan a healthy menu for your child? The Recommended Dietary Allowance (RDA) was established during World War II as a way to assure superior nutrition for civilians and the armed forces. Initially, RDAs were determined for calories and eight nutrients. Since then, the Food and Nutrition Board has revised these recommendations every 5-10 years and now cover more than 40 different nutrients. In the 1950s, daily goal intakes of food groups such as fruit, vegetables, grains, protein and dairy were introduced to help people better meet the RDA. In 1997, the RDA was rolled into a larger set of recommendations called the Dietary Reference Intakes (DRI). Today, RDAs are calculated from an Estimated Average Requirement (EAR) for nutrients based on research studies. RDAs are designed to match 97-98 percent of the population’s needs for a specific nutrient. If there is not enough scientific research available to calculate an EAR (and thus the RDA), then an Adequate Intake (AI) is established. This AI is believed to cover the nutrient requirements of all healthy individuals in an age and gender category. Nutrient needs for children change over time. For example, calcium needs increase from an AI of 200 mg/day during infancy to a RDA of 1,000 mg/day at four years. The need for Vitamin D also changes with time, with infants needing 400 IU/day during the first year of life, then jumping up to 600 IU for the rest of childhood. To keep it simple, both the RDA and AI are guides for good nutrition, outlining the average daily requirements for nutrients to keep your child healthy and growing normally. Nutrient needs for children change over time, especially in younger children. The Recommended Dietary Allowance (RDA) was created during World War II. RDAs are designed to match nearly all of the population’s nutrient needs. Adequate Intake covers nutrient requirements in an age and gender category. Institute of Medicine. Dietary Reference Intakes (DRIs). U.S. Department of Agriculture. Food Groups. Making sure my children are meeting the necessary requirements each day for a healthy diet can be so complicated sometimes. This article is a great resource to help parents like me understand what exactly we are giving our children.